What a morning!! 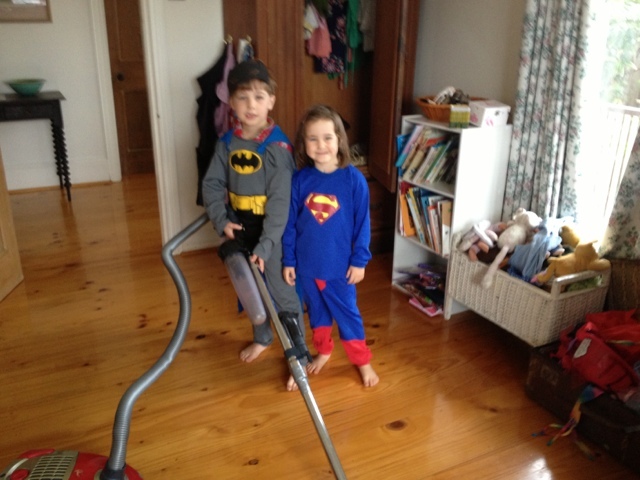 Batman and Supergirl popped in to do a spot of cleaning. Much appreciated! 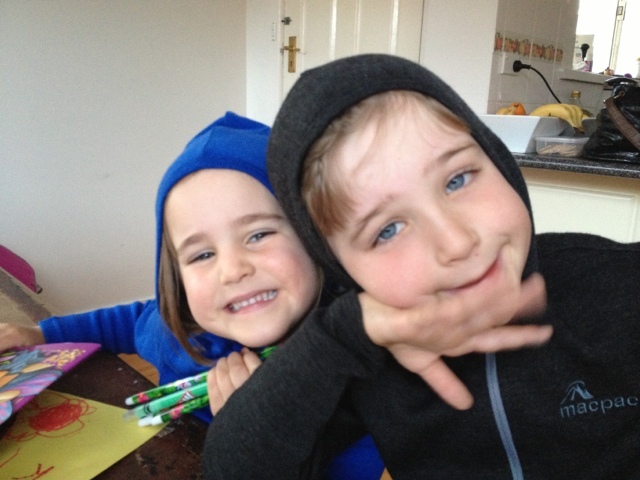 The kids were spoilt rotten today. Gandy dropped in with gifts-beautiful woollen jumpers for the kids. So lovely. 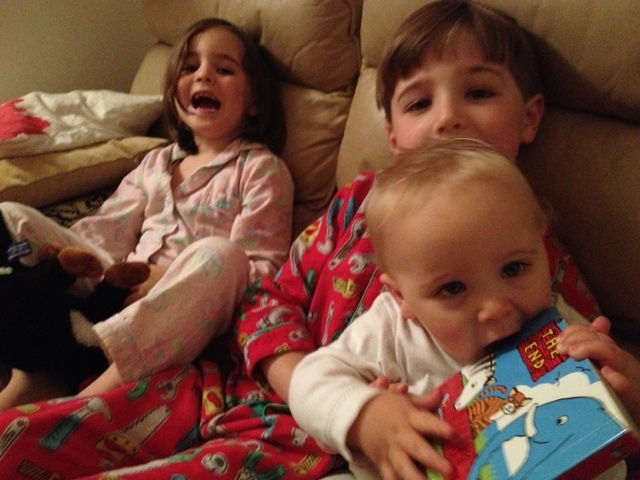 We had a surprise visit from Uncle Tom and Cousin Ruby who brought a birthday gift for Arthur. A ball and a book - Arthur's two favourite things in the world!! 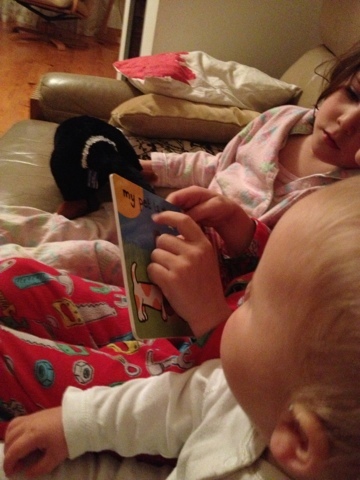 George actually read Arthur his new book at bed time. 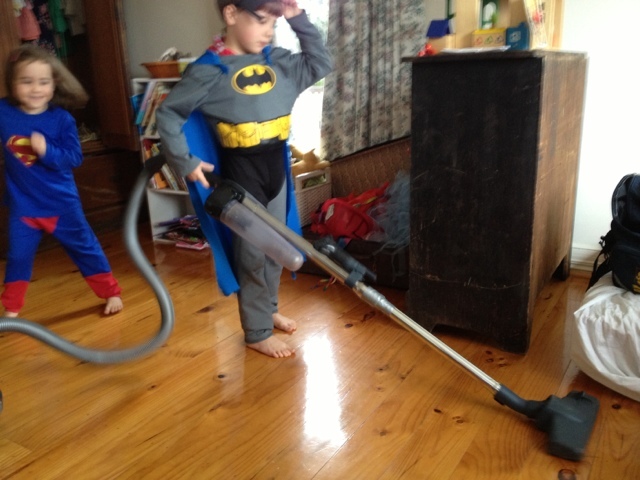 Very very clever stuff and very adorable. 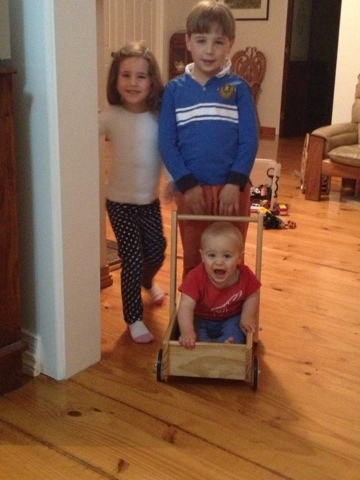 And no day would be complete without a little trolley circle work in the living room!